Today’s BBQ rub review comes to us from Southern California. I’ve had the opportunity to play around with this rub for a while and was pleased with it. 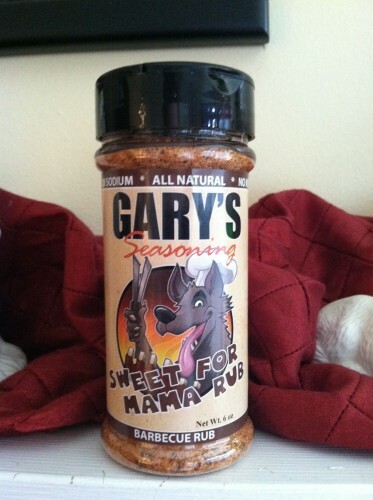 This is Gary’s Seasoning “Sweet for Mama” Rub. The story begins in 1971 as Gary started working in the restaurant business. He worked his way up from a dishwasher and busboy to one of the primary chefs of the restaurant in which he worked. This experience in prepping all different kinds of food would serve him well many years later as he created his first batch of all-purpose seasoning in 2005. As expected, there was some trial and error, and it took many revisions of the recipe until he was satisfied with the results. In addition to his Original Blend, he has a spicy seasoning aptly titled “Hot for Mama” as well as a sweeter “Sweet for Mama” version. This rub has a fairly fine texture, although the presence of brown sugar could cause it potentially to clump up. It has a very sweet aroma with just a touch of pepper. A naked taste reveals a very sweet rub that, surprisingly, has a bit of a kick to it. 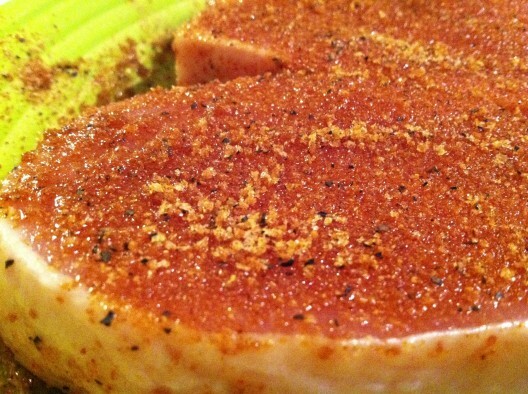 I went with a boneless skinless chicken breast and pork chops in testing this rub out. Instead of cooking the chicken on the grill, I cooked it on the cast-iron griddle indoors. The rub caramelized quite nicely on the meat. 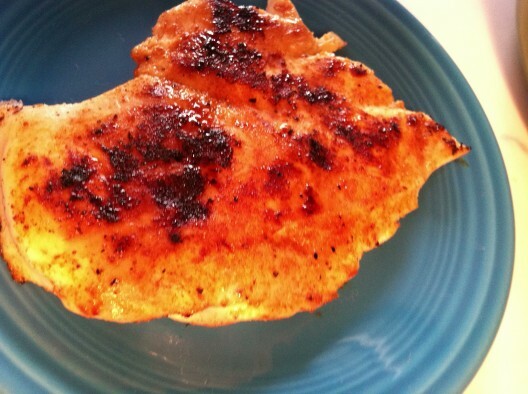 It gave the chicken a bit of a sweet flavor, but the heat was not as prevalent. 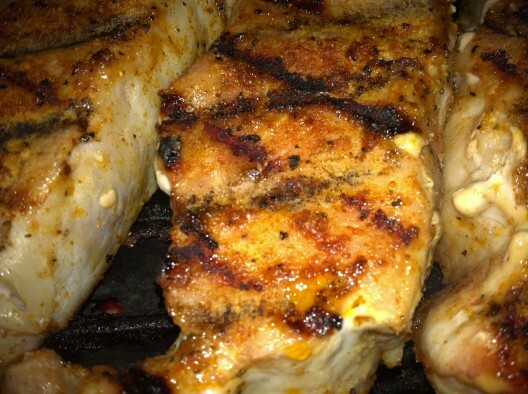 I experienced a very similar result as well when using this rub on some center cut pork chops. If you like a sweet rub, it’s definitely hard to not recommend this rub. There is a bit of heat in the rub, but it dissipates when cooked. This rub is available for purchase at http://www.garysseasoning.com/products.html. Gary’s Seasoning can also be found on Facebook and Twitter. I’d be very interested if the heat shows up more in the grilling technique? (I don’t know because I’m still a novice.) I like reading your blogs to get ideas and recommendations. I appreciate the honest critiques everyone gives on the site. Thanks!